For the past few years I gave presented to parents at the schools I work with about Apps they should keep an eye out with their children. Recently a list has gone out nationally mentioning ten such apps. While some of these have been on my "watch list" for years such as Whisper, ask.fm, Calculator%, Kik, and of course Instagram, others are new. As is the case every year some apps become less popular and others take their place. 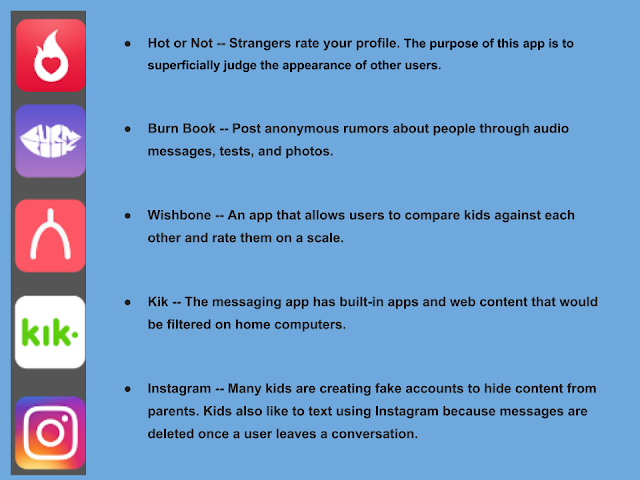 Some of these apps are not inherently bad, it's just the way students use them, such as creating fake Instagram accounts. 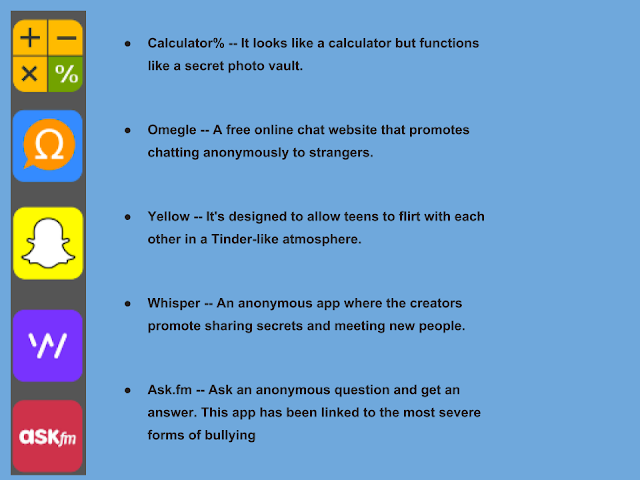 As teachers and parents we can help bring attention to the dangers or using or misusing some of these apps.